Home > News > The ECCP gathers more than 1000 cluster organisations in its community! We are happy to inform that almost 3 years after the official launch of the European Cluster Collaboration Platform on 8 March 2016, our community will be measured in a 4 digit number, as we now host more than 1000 profiles of cluster organisations from Europe and beyond. 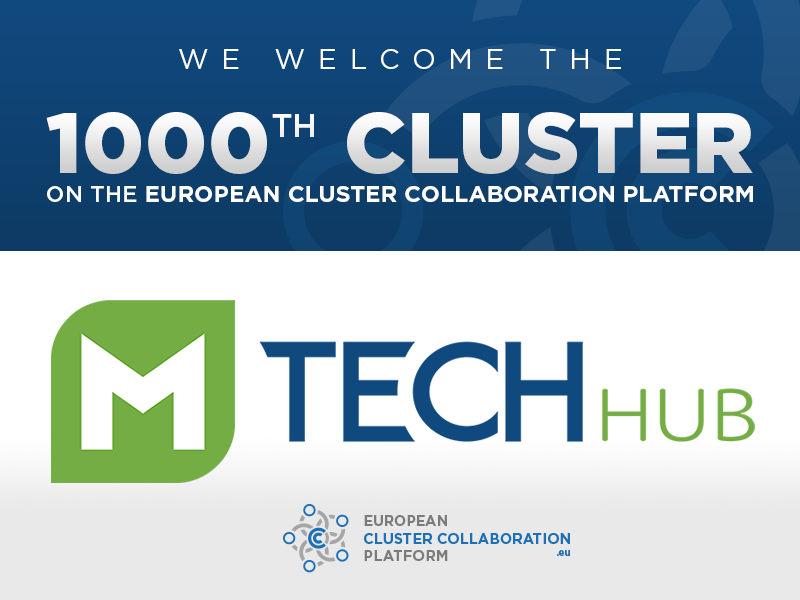 The 1000th cluster registered on our platform with this very special number is MTechHub from Canada and its CEO, Mark Corker, learned about the ECCP services during the EU-Canada high level cluster cooperation event that was organised as main anchor event of the EU Cluster Weeks initiative of the European Commission (DG GROWTH) in cooperation with the German Federal Ministry for Economic Affairs and Energy (BMWi) in the context of the Hanover fair on 1-2 April 2019. MTechHub is interested in to collaborate with European clusters in the area of development of IoT solutions for the wood and furniture industry, as well as in the print and packaging industry. For more information see the MTechHub profile here. We look at this special achievement with gratitude, being thankful for the trust we enjoy from the cluster organisations using our platform and for the support we received from a large variety of stakeholders across Europe: policy makers, networks and associations, opinion leaders and experts. It is a strong motivation for our team to continue developing the ECCP to provide more and better services for more clusters as part of a vibrant and large cluster community.